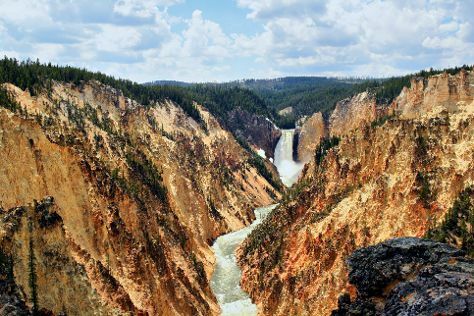 Spend the 1st (Sun) exploring nature at Yellowstone National Park. There's still lots to do: take in breathtaking views at Grand Canyon of the Yellowstone, witness a stunning natural landmark at Upper Geyser Basin, and don't miss a visit to Artist Point. To see where to stay, photos, other places to visit, and more tourist information, use the Yellowstone National Park trip itinerary maker website . Los Angeles to Yellowstone National Park is an approximately 6-hour combination of flight and car. You can also do a combination of flight, shuttle, and car; or drive. You'll lose 1 hour traveling from Los Angeles to Yellowstone National Park due to the time zone difference. While traveling from Los Angeles, expect little chillier days and cooler nights in Yellowstone National Park, ranging from highs of 70°F to lows of 38°F. Cap off your sightseeing on the 1st (Sun) early enough to travel to Las Vegas. Your day-by-day itinerary now includes David Copperfield, Gondola Rides at the Venetian, The Little Vegas Chapel, and other attractions you added. On the 2nd (Mon), take in panoramic vistas at Stratosphere Tower, have fun at The Little Vegas Chapel, then get a taste of the local shopping with The Strip, and finally admire the local landmark of Bellagio Fountains. On the 3rd (Tue), you'll have a packed day of sightseeing: take in a show at David Copperfield, appreciate the extensive heritage of Fremont Street Experience, take a memorable tour with Gondola Rides at the Venetian, then enjoy breathtaking views from Eiffel Tower Viewing Deck, then admire the natural beauty at Bellagio Conservatory & Botanical Gardens, and finally have some family-friendly fun at Wreck Room. For traveler tips, photos, ratings, and other tourist information, use the Las Vegas trip itinerary maker website . You can do a combination of car and flight from Yellowstone National Park to Las Vegas in 7 hours. Another option is to drive. The time zone difference moving from Mountain Standard Time (MST) to Pacific Standard Time (PST) is minus 1 hour. Plan for much warmer temperatures traveling from Yellowstone National Park in September, with highs in Las Vegas at 93°F and lows at 71°F. Finish your sightseeing early on the 3rd (Tue) so you can drive to Page. 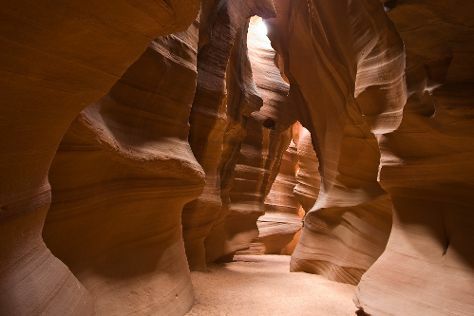 Your day-by-day itinerary now includes Antelope Canyon. Start off your visit on the 4th (Wed): admire the engineering at Glen Canyon Dam, take in the dramatic natural features at Horseshoe Bend, and then take in breathtaking views at Antelope Canyon. For reviews, maps, more things to do, and other tourist information, you can read our Page trip tool . Getting from Las Vegas to Page by car takes about 5 hours. Other options: fly; or do a combination of bus and flight. Traveling from Las Vegas to Page, you'll lose 1 hour due to the time zone difference. Traveling from Las Vegas in September, expect Page to be little chillier, temps between 86°F and 63°F. 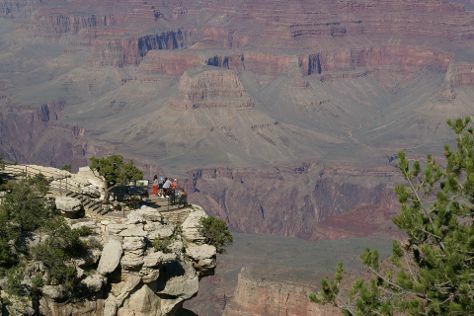 Finish up your sightseeing early on the 4th (Wed) so you can go by car to Grand Canyon National Park. On the 5th (Thu), take in breathtaking views at Yavapai Point and then stroll through Rim Trail. Drive from Page to Grand Canyon National Park in 2.5 hours. When traveling from Page in September, plan for little chillier days and much colder nights in Grand Canyon National Park: temperatures range from 75°F by day to 43°F at night. Finish up your sightseeing early on the 5th (Thu) so you can travel back home.